Famagusta (Gazimagusa) is a medieval walled city in north Cyprus that has changed hands many times in its long history: once a Crusader stronghold; then a Venetian fortified city, prized by Leonardo da Vinci; then, after an epic siege in 1571, an Ottoman outpost; then, from 1918 to 1960, a British colony; today, the southernmost city of Turkish-controlled north Cyprus, who seized control in 1974. From its immense walls – as impressive as any built by the Venetians – one sees the signs of Turkish militarisation everywhere: immense battleships in the industrial port; barracks sealed off by barbed wire; and, in the distance, the ghost city of Varosha, the modern formerly-Greek suburb that’s now a sealed-off forbidden zone. 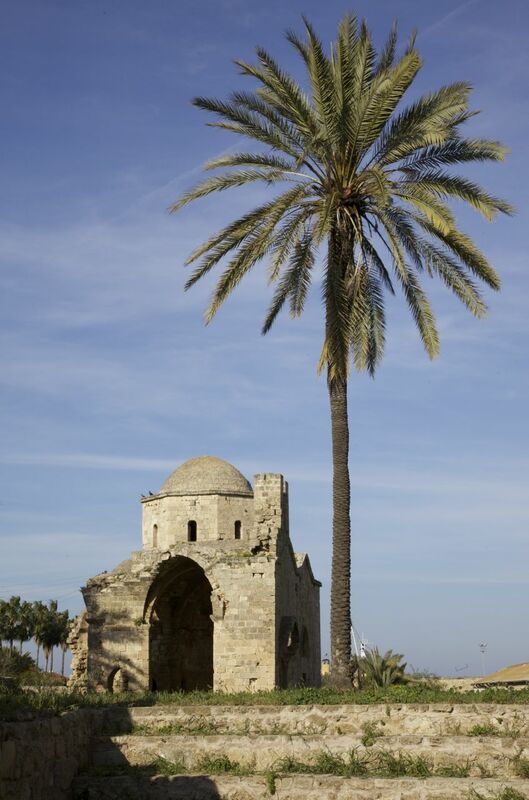 It has been said that Famagusta once had 365 churches, each one paid for by a man or woman intent on buying their place in heaven. That’s one church for every day of the year – an extraordinary number perhaps explained by the large number of sects that used to coexist in the city: Latin and Greek, Maronite, Armenian, Coptic, Georgian, Carmelite, Nestorian, Jacobite, Abyssinian and Jewish. From the meagre 17 churches that still remain today, it’s hard to imagine the overwhelming spectacle of such a large number of churches crammed together in such a small area; yet, in some way, the remainders – most in ruins – still testify to the ghostly presences of all those other churches that have been erased from the cityscape. St Nicholas Cathedral (1, now the Lala Mustafa Pasa Mosque) is still the architectural focus of the city, its imposing western facade, built in the 14th century likened to Reims Cathedral in France. Now, the former cathedral is a mosque, its incongruous minaret added by the Ottomans, the interior whitewashed, the altar supplanted by the minbar and mihrab, and the floor covered in soft carpets. 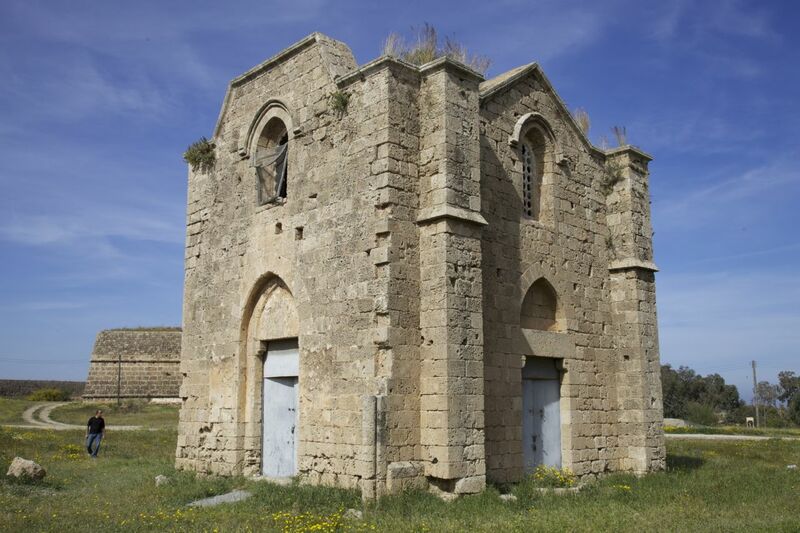 Hearing the Azan emanating from this former church is both disorientating and strangely moving, jolting you into a place between the two hard-faced religions that still seem to face each other off in today’s divided Cyprus. The other 16 churches are scattered inside the city walls, most of them in various stages of ruin; those that are not, firmly locked to curious visitors. 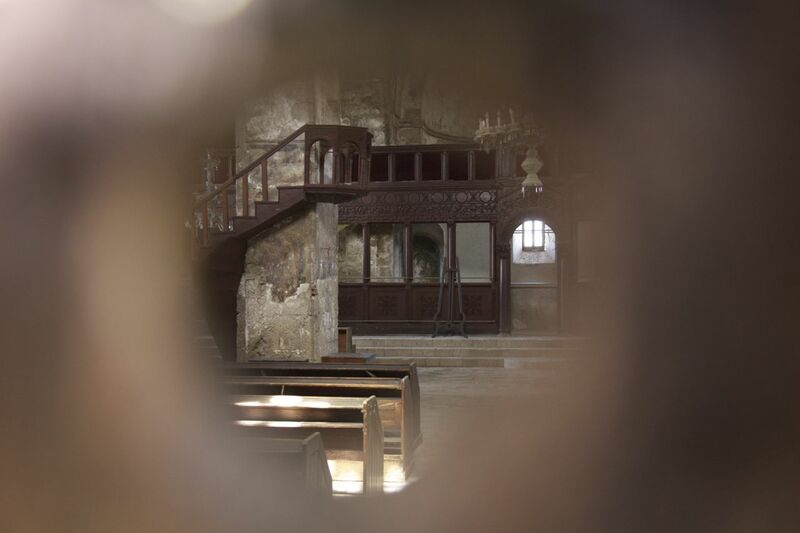 Peering through a crack in the door of the 14th-century Nestorian Church (the most intact of the smaller churches), one sees an interior untouched by time, its pews, lectern and screen seemingly awaiting the next group of worshippers that may never come (2). 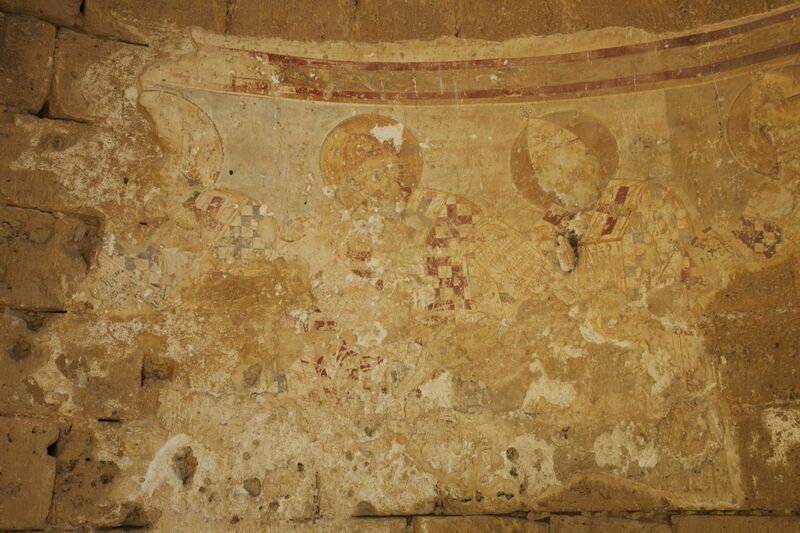 In other more ruinous churches one can wander at will, the insides of these buildings now turned outwards: faded frescoes exposing the saints to the elements (3); homilies only offered by the pigeons who inhabit the vaults; the soft brown limestone eaten away into fantastical miniature worlds of coral-like formations (4). 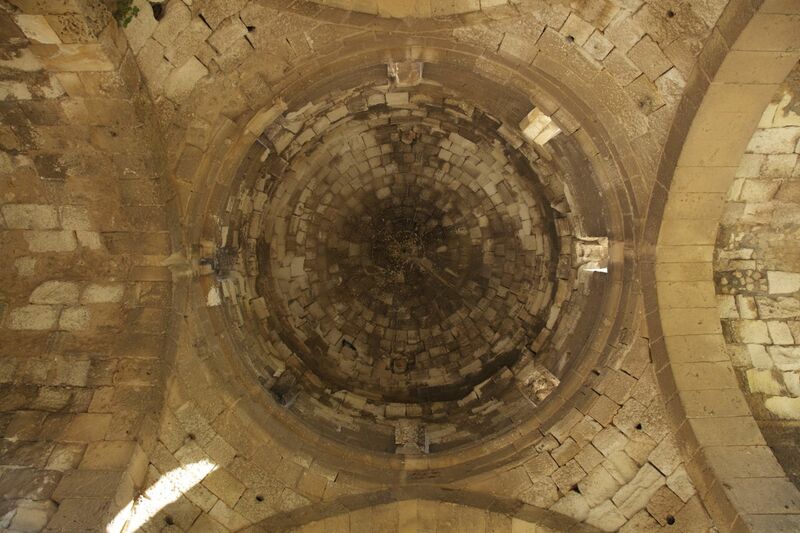 At the southern end of the city are the two perfectly formed churches of Ayios Nicolas and Ayia Zoni: small, rustic buildings with their pleasing geometries of square, octagon and circle (5 & 6). Sitting here sketching on a windy afternoon, I was drawn, like many ruin gazers, into a reflective mode of perception. Unlike modern ruins, which sting us with their raw violence, old ruins comfort because they inhabit a different temporal realm from us. Long ago – a time which I can only imagine and not experience – these were churches; yet, they still remain as ghost churches, bearing witness in their materiality to distant traumas that remain in soft material traces. It’s as if they say to us: if you’re lucky, you might age as beautifully as we do. So, perhaps my own traumas, destructive as they are, will not end in my erasure but rather in my slow, but nevertheless inevitable, transfiguration into a silent witness. In antiquity , the town was known as Arsinoe ( Ancient Greek : Ἀρσινόη), after Arsinoe II of Egypt , and was mentioned by that name by Strabo . 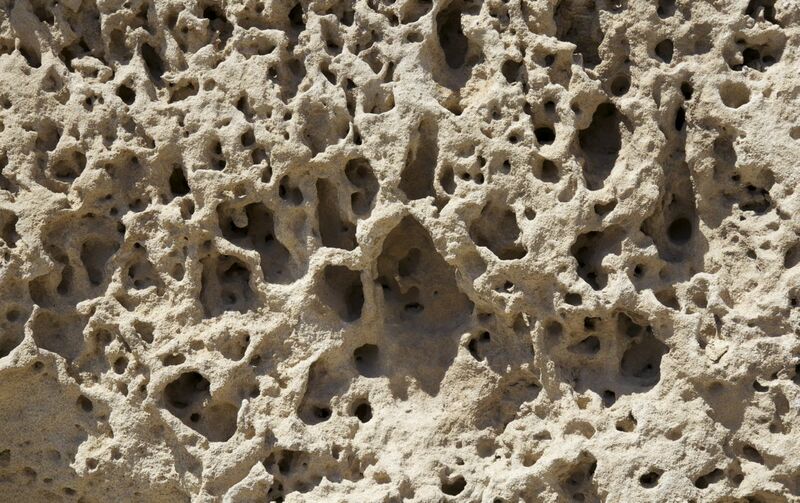 In Greek it is called Ammochostos, meaning “hidden in sand”. This name developed into Famagusta (originally Famagouste in French and Famagosta in Italian ), used in Western European languages and the Turkish name, Mağusa. In fact, its Turkish name is Gazi-Mağusa ( Gazi is a Turkish prefix meaning veteran, and was awarded officially after 1974; compare Gaziantep ). 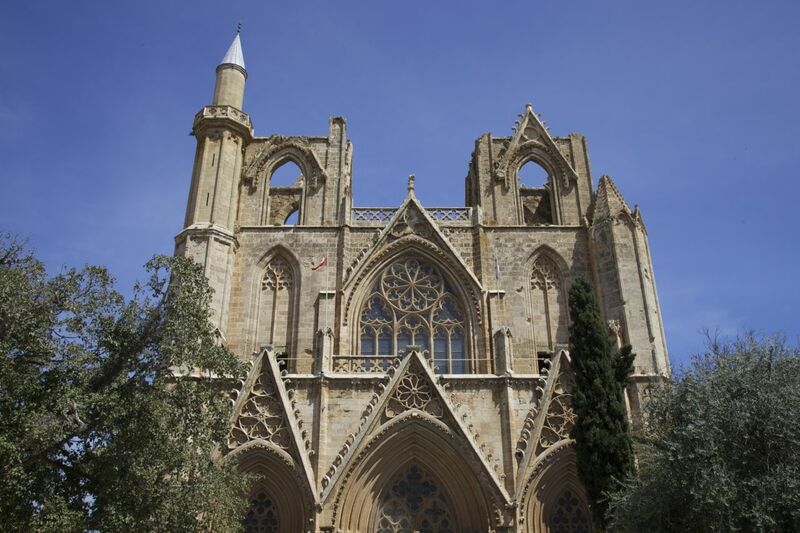 The old town is nicknamed “The city of 365 churches” owing to a legend that at its peak, Famagusta boasted one church for each day of the year.